यह भी पढें - उत्तराखंड की बेटी का टीम इंडिया में सलेक्शन, अब लेबनान में दिखाएगी जूडोे का जलवा ! 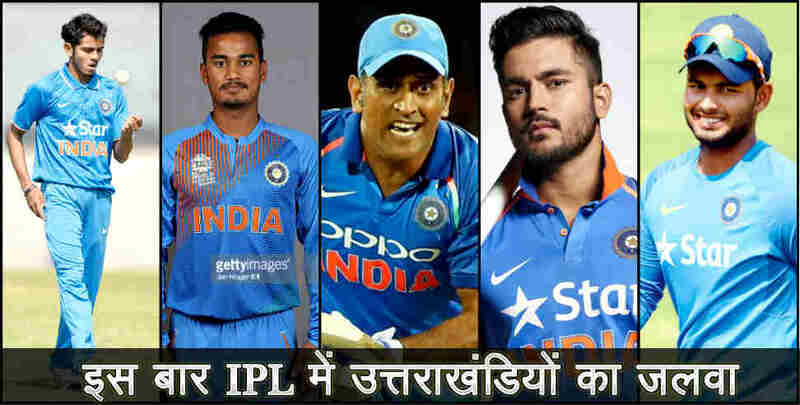 Read this news article about Uttarakhand 5 players shining in ipl (IPL में उत्तराखंडियों का जलवा, इस बार सबसे महंगा खिलाड़ी भी पहाड़ी है - उत्तराखंड न्यूज, आईपीएल में पहाड़ी ,उत्तराखंड,) for complete news and information. Rajya Sameeksha (राज्य समीक्षा, rajyasameeksha.com) is one of the most popular hindi news portal Uttarakhand. Readers get in-touch with all the positive/genuine news and information about Devbhoomi Uttarakhand. Currently rajyasameeksha.com publishes Uttarakhand News (उत्तराखंड न्यूज, उत्तराखंड समाचार).